SFBayAreaKoiClub.org - Whiskers, You Say! Koi whiskers are known as maxillary barbels. They are slender, whisker-like organs covered with taste buds and olfactory sensors (nose) to help them smell food. This is especially true as Koi ancestors, common carp, were scavengers and foraged in murky water and muddy pond bottoms. This sense allows them to taste food before ingesting it. 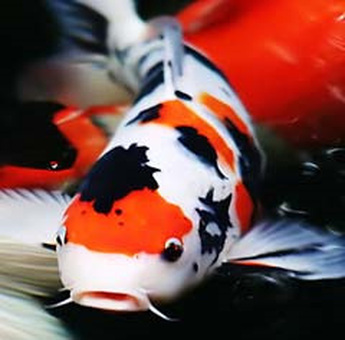 Koi have one set of barbels on each side of the mouth, located on the upper lip, for a total of four barbels. Barbels are a distinct feature to distinguish Koi from goldfish, which do not have barbels. Barbels can be seen on young fry if you look closely. There are a few other species that also have barbels, including Goatfish, Hagfish, Sturgeon and Zebrafish.